Our staff ensures you will receive the best treatment possible in a comfortable and caring environment. 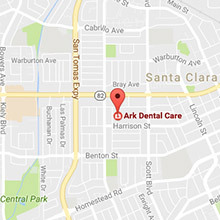 Dr. Khetani has been practicing dentistry since 2003, and built Ark Dental Care as a place where your entire family can receive the best treatment possible in a comfortable and caring environment. She is very knowledgeable in all facets of modern dentistry and places great emphasis on providing personal care to our patients. 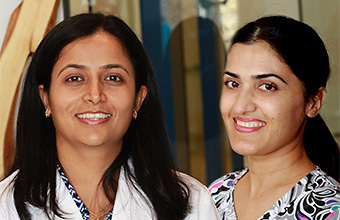 Dr. Khetani and our staff are friendly and will listen to your goals and concerns. 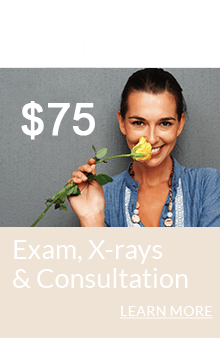 They make sure to explain things thoroughly and answer all your questions so you can make well-informed decisions and feel at ease about your treatment. We strive to keep you comfortable at all times when you come to see us. 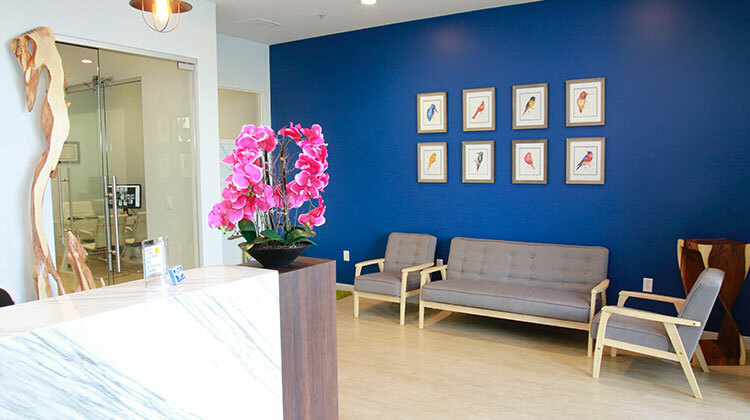 Our beautiful office has a colorful, modern, open style that does not remind one of a typical dental office, making it easier to relax. We have magazines, a TV and music in the reception area. We also have a TV in each treatment room. Dr. Khetani takes great care to make your time in the dental chair as stress-free and comfortable as possible. She has set up our treatment rooms so that all her instruments are behind the treatment chair and out of view of the patient, which reduces anxiety She uses a special method for injections which creates little to no sensation, and she is very meticulous and gentle when performing procedures. 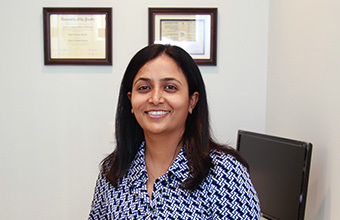 Dr. Khetani is good with kids and makes sure their experience is comfortable. We provide dental services for the entire family, and can take care of children as young as five years old. 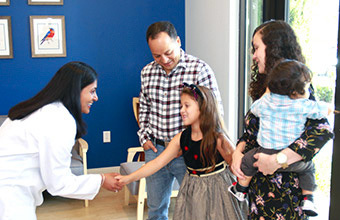 Dr. Khetani, herself a mother of two, is very gentle and patient with kids and makes sure their experience is enjoyable. She provides numerous children’s services, including gentle cleanings, dental sealants, fillings and fluoride treatments. We have children’s toys and books in our reception area to make visits fun, and we can provide TV and movies in the treatment room for entertainment. 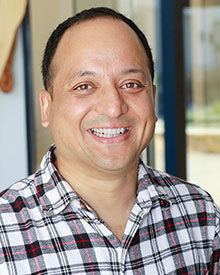 Dr. Khetani is a skilled Cosmetic Dentist. Dr. Khetani can provide a wide range of cosmetic dentistry services to give you a bright and beautiful smile. She tailors the treatment program for each patient to meet their exact needs and desires. To improve the appearance of a smile, Dr. Khetani can provide top-quality porcelain veneers, crowns, bridges and tooth-colored fillings made out of a special tooth-colored dental resin. She also delivers professional teeth whitening to dramatically whiten teeth, and she can give adult patients a straight and beautiful smile with Invisalign® clear aligners. 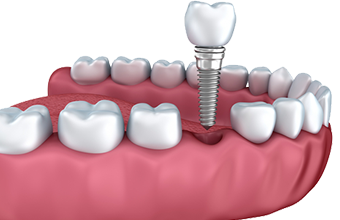 Dental implants are titanium posts that act as artificial replacement roots for missing teeth. They are the strongest, most lifelike and longest-lasting tooth replacement option available in dentistry today. Topped by a dental crown or used to support a dental bridge, implant-supported new teeth look, feel and function just like real teeth and can last a lifetime with proper care. Dr. Khetani partners with a trusted local specialist who will place your implants while she designs and places the high-quality porcelain crowns and bridges your implants will support. She takes great care with every detail to ensure your new teeth will be stable, look totally natural and result in a well-aligned bite.